Make these the four major components of your AdWords strategy. Save time. Make more money. Learn about your prospects, your market and AdWords by using Search Ads first. Search Ads are usually the cheapest ads available. Fine-tune your ads and keywords until visitors are buying (called converting). Introduce Display Network ads to gain more visibility. 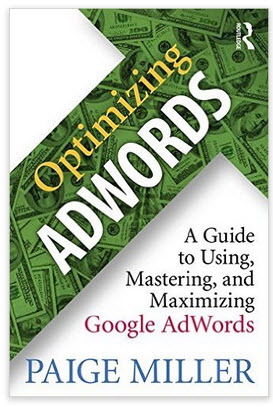 Use AdWords Experiments to fine-tune your ads and AdWords Rules to keep campaigns selling. Once you achieve 15 sales a month, activate the Conversion Tracking option. This option puts the power of AdWords on your side to help you gain as many impressions as possible without raising your costs. Activate the Remarketing feature as soon as possible after Conversion Tracking. This keeps you in touch with your best prospects—your previous customers and people like them. If you like these tips, you’ll love the book. It levels the playing field! Click here to buy at Amazon.